Adrienne has extensive experience representing Maine's injured workers statewide. 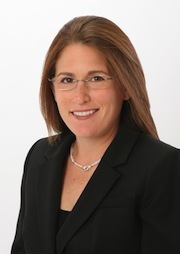 Over the years, she has litigated cases for clients in almost every industry in Maine, including millwrights, machinists, construction workers, truck drivers, package handlers, mechanics, nurses and caregivers, police officers, teachers, even professional athletes - many of whom have career-ending injuries and need a strong advocate to secure their financial future. Adrienne joined Maine Employee Rights Group in 2011 to focus exclusively on workers' compensation. Before that, she practiced employment and labor law for nine years, representing employees and unions in federal and state court, before the labor board, and in arbitration. Adrienne is a regular presenter at workers' compensation seminars and advises the Workers' Compensation Board Advocate Division on litigation strategy and defense tactics. She has also lectured at the National Employment Lawyers' Association, New England Regional Conference and the Maine Bar Association Employment Law Year in Review on the effect of social media on workers' compensation and employment cases. Adrienne understands that injured workers suffer physically, emotionally, and financially. She works with clients to ensure that they are receiving top compensation and the best medical care available for their injuries. She also strives to ensure that clients understand the legal and medical issues in their cases so they feel empowered when talking to doctors, lawyers, and judges. When Adrienne is not practicing law, she enjoys exploring the coast and the mountains of Maine with her family, and life's simple pleasures like reading a good book and walking the dog. Ethical Issues in Social Networking and Employment Law, Maine State Bar Association, 10th Annual Employment Law Year in Review, November 2010. Facebook: A Lawyer’s Friend or Foe? National Employment Lawyers Association, New England Regional Conference, May 2011. "Workers' Compensation Defense Litigation Strategies: What Works, What Doesn't"
"Vocational Rehabilitation Under Section 217 of the Workers' Compensation Act: Case Selection, Procedure, Legal Standards, and Shared Experiences"
"At the Intersection of Workers' Compensation and Employment Law: Case Evaluation, Litigation Strategy, and Settlement Concerns."